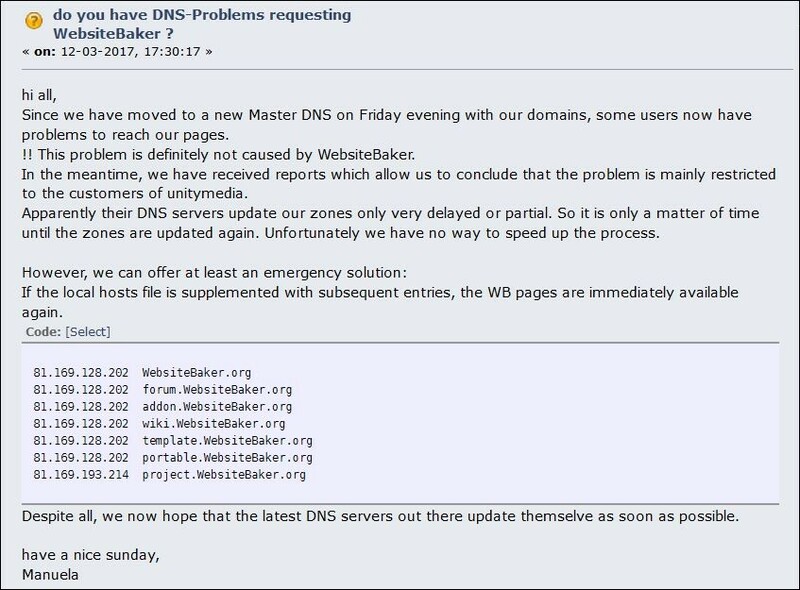 If your DNS has problems with resolving the WebsiteBaker domains you can use your local DNS (hosts) to fix it until the DNS servers are fixed. You can find a great tutorial here how to edit your hosts file (for all OS). Adding this list to your hosts file should fix the temporary problems. Comments on this article - Note: comments will be reviewd by a moderator before publishing!